WordPress is part of the company Automattic which collects certain personal information from you. WordPress collects your username, name, password and email address when you sign up for their website. When you set up your public profile, that information is collected by WordPress and available to be viewed by the public. When you pay for services such as a website, custom domain or a premium theme, you share your credit card information and contact information with them. If you use WordPress to sell products or services, you provide them with the URL to your website and financial information to set up payments such as your Paypal email or your bank account information. If you make a post publicly on WordPress with personal information on it, they collect that information as well and it is viewable to the public. If you contact WordPress they keep logs of the conversations. They also collect your location from your IP address, how you use their services, web browser information, mobile device information, language preferences, the website you came from, operating system and mobile network information. If you post a picture from your phone onto WordPress you have to give them permission to access it. WordPress collects information from how you interact with other websites and users. Provide their services to you. Improve their services and features. See how users interact with their services. Understand the usefulness of their advertising. 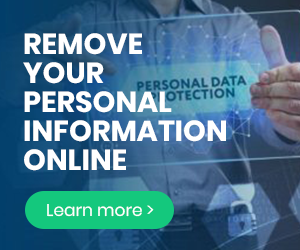 Protect from spam and fraud. Email you information about promotions, send you surveys on how you like their services, and keep you updated on their products and services. Personalize your experiences with their website. Use your information for legal purposes. If you sign up for a WordPress account, you can limit the information you share with them. Also do not post your personal information in a post or your profile. You can also opt out of marketing emails from them. When you sign up for an account you can access their premium themes, set up a website with a custom domain, and more. Not access WordPress on your phone. Revoke access to your phone. Reject cookies on your browser. Not buy their services or products. Not sign up for a WordPress account.